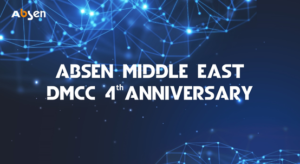 Absen Middle East 4th Anniversary was held in Sofitel the Palm, Dubai on 12th November, 2018. 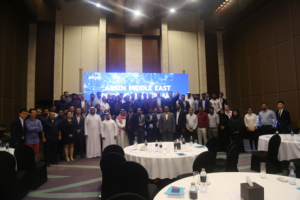 Absen’s Middle East team, the leaders from Shenzhen headquarters, customers and partners from United Arab Emirates, Saudi Arabia, Qatar, Bahrain, Lebanon, Jordan and Oman all gathered for the quadrennial celebration. This grand meeting has recalled the 4 year’s development of Absen Middle East, the achievements Absen has realized with the support of all the partners and Absen’s local instant service. Eric Chen, the general manager of Absen’s Asia-Pacific region, has shared the blueprint for the cooperation with Absen Middle East in the near future: as a cutting-edge technology leader, Absen never stops the exploration in providing the best – “iCon series” is one of the most brilliant mini LED products in recent years. In addition, as a win-win strategy, Absen is sparing no efforts to update the business mode with distributors in the current economic situation and Absen values the distributors as it always does. The customers also came up to the stage and shared their cooperation stories with Absen. Middle East, where Absen overseas dream starts! Absen and the Middle East have been closely connected since its foundation. In 2005, Mr. Hanson Ding, the present president of Absen, pioneered to get the first international order in Saudi Arabia. Absen’s overseas dream was born since the historical moment that Absen committed to be a ” honest, gratitude, responsible” company that makes the world shine more! 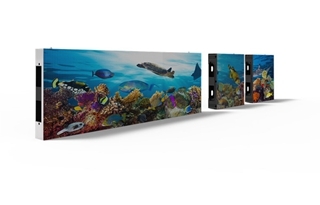 As the first Chinese LED display screen supplier that explores the Middle East market, Absen has insisted this land for 13 years, which is uparalleled for other competitors. With Abseners’ endless efforts, Absen has ranked first in exporting LED displays among Chinese LED display manufacturers for 9 consecutive years. Over 13 years devotion, we are beyond partners! Absen has focused on the Middle East market since 2005 with a continuous growing team. Now Absen Middle East team has a total number of 17 persons, 9 experienced sales, 4 professional engineers, 2 sales assistants and 2 sales administrators that can cover all the segment markets of the industry. As a largest and most experienced team, Absen Middle East can understand and well satisfy the customers’ needs. Absen has the service team in Dubai and local service can be provided instantly whenever needed by the customers. More than 10 years’ endless efforts, great relationships have been built between Absen and customers. For Absen Middle East 4th Anniversary, customers from Qatar, Bahrain, Lebanon, Jordan and Oman came to Dubai with the special purpose for this participation. 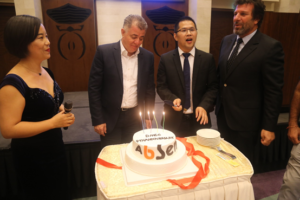 Some even made great celebration videos for this grand meeting, which are strong proves that Absen and the customers are already beyond partners and the cooperation is continuously deepening! Trusted by the partners, Absen is devoted to providing best products and professional service to maximize the values for customers! Build on the past, we forge ahead into future! “Your inspiration, our innovation”—innovation is the element that deeply rooted in Absen’s DNA. Absen never stops its steps on the road of exploring the cutting-edge technology and providing the best products for its customers. Absen’s creative efforts has been paid off with a large amount of classical references which have helped Absen win great reputation home and abroad. In this meeting, Alina Yuan, sales manager of Absen Middle East, has released the Mini LED product portfolio and new sales policies. 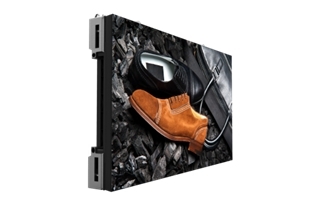 While maintaining the advantages of the traditional engineering project product, Absen has expand its business to the consuming product for the conference room or private display. 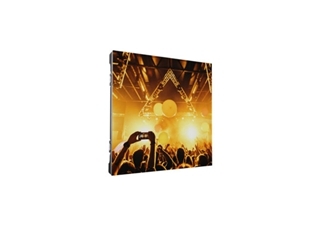 As a leading LED supplier in the industry, Absen has launched the new product “ iCon” series, leading the revolution of LED display in the conference room, which implies the coming of the “iCon” era. For sales policy, Absen will pay more attention to the distributor constructions. Absen always seeks for a win-win strategy. Only through good cooperation with distributors and partners can Absen become better and better in the Middle East market. Absen will deepen the cooperation with the partners and wish a greater success for the future!